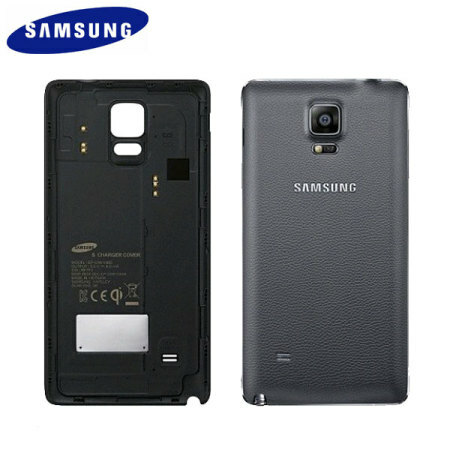 This navy, form fitting, official back cover for the Samsung Galaxy Note 4 can be used with the Samsung Wireless Charging Pad to charge your Note 4 wirelessly. I have owned LG phones before, and when LG put out these QI backs, they were exactly the same thickness as the original. Samsung for some unknown reason, decided to make this add about .006 to the thickness of the phone. You'd think that would be no big deal, but this added thickness makes it so THERE IS NOT ONE CASE AVAILABLE THAT WILL NOW FIT THIS PHONE WITH THIS BACK. So if you don't mind running your Note 4 with no protection, this back works and fits really well.